Moradi Tabriz, H., Abdollahi, A., Mahfoozi, S. (2010). Frequency of Pathogens and Antimicrobial Susceptibility of Bacteria Isolated from Bloodstream Infections. Iranian Journal of Pathology, 5(3), 143-149. Hedieh Moradi Tabriz; Alireza Abdollahi; Saeideh Mahfoozi. "Frequency of Pathogens and Antimicrobial Susceptibility of Bacteria Isolated from Bloodstream Infections". 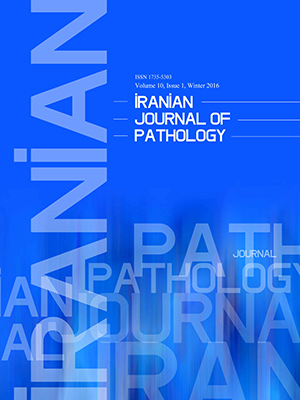 Iranian Journal of Pathology, 5, 3, 2010, 143-149. Moradi Tabriz, H., Abdollahi, A., Mahfoozi, S. (2010). 'Frequency of Pathogens and Antimicrobial Susceptibility of Bacteria Isolated from Bloodstream Infections', Iranian Journal of Pathology, 5(3), pp. 143-149. Moradi Tabriz, H., Abdollahi, A., Mahfoozi, S. Frequency of Pathogens and Antimicrobial Susceptibility of Bacteria Isolated from Bloodstream Infections. Iranian Journal of Pathology, 2010; 5(3): 143-149.